Small distillery overlooking Uig Sands on the west coast of Lewis. Charming, very small and well worth a visit! Refounded in 21st century by a group of enthuisasts, this small whisky distillery is the most westerly of all Scotland's distilleries and certainly in one of the most beautiful locations. 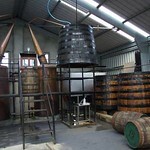 It produced its first three year malt in 2011 and has been producing limited bottling since then. 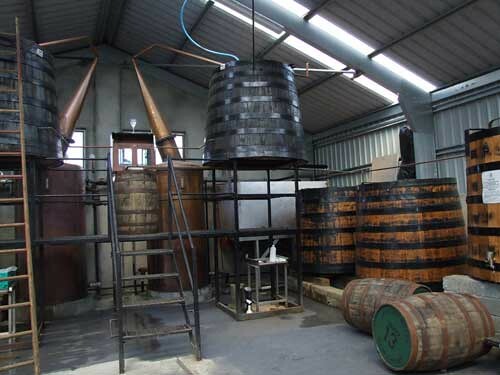 If you are visiting Uig Sands (which you must) then take time to visit a small enthusiastic distillery! Open from 11am - 1pm (Closed for lunch 1pm to 2pm) 2pm - 4pm Monday to Saturday. Tour and tasting every half hour - £5 per person.